Orthodontically Yours is glad to be your choice when you’re looking for an orthodontist in the Thornhill and Mississauga areas. Not only are we proud of our high-quality orthodontic treatments that we offer at an affordable price, but we also pride ourselves on our dedication to customer service. We want all of our patients to have the utmost in confidence with us and know that we care about their well-being. We’ll do our best to address all of your concerns, including these more commonly asked questions. Orthodontists are dental specialists who diagnose and treat problems with the alignment, spacing, or positioning of the teeth. They also deal with other related irregularities of the jaw and the face. Orthodontists use a number of treatments such as braces to treat these problems. 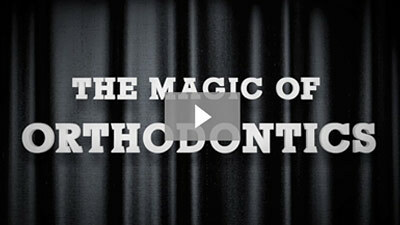 You should consider getting orthodontic treatment for two reasons: function and aesthetics. Orthodontic treatment allows your teeth to function better and also makes it easier to keep them clean. This can lead to an improvement in overall health. Orthodontic treatment can also give you an attractive smile and improve the way you look. This will affect the way people see you and it will enhance your own self-image. The American Association of Orthodontists recommends that children come in for their first orthodontic visit at the age of seven. The earlier age that orthodontic treatment is started, the easier it will be to correct a problem. The process of putting braces on is generally painless. There may be some minor aches or soreness for the first couple of days as you get acclimated to the braces, but it should subside after a short amount of time. If it’s needed, over-the-counter pain relievers can be taken to remedy any feelings of discomfort. Orthodontic treatment is different for each person. The active stage of treatment (when you’re wearing the braces) can take anywhere from six to 30 months. After that stage is over, you’ll have to wear a retainer for the next several months. How Often Will I Come to the Orthodontist for an Appointment? While it depends based on what kind of orthodontic treatment is being done, you’ll typically visit our office once every four to ten weeks. There are two main reasons why you may need to have your teeth extracted. Those reasons are severe crowding (your mouth is too small to properly accommodate all of your teeth) and if you have impacted teeth (teeth that are trapped beneath the gumline). The younger you are when you come in for early treatment, the more likely it will be that you won’t have to have your teeth extracted. Unfortunately, yes. There are certain foods that can get stuck in your braces or even break or dislodge your wires and brackets. You’ll want to avoid foods that are hard and foods that are sticky. Will I Be Able to Play Sports or Musical Instruments? Yes. You’ll be able to play sports just as you did before you got braces. However, we recommend wearing a mouthguard while you play sports whether you have braces or not. You should also be able to play your musical instrument just the same, though there may be a short adjustment period needed right after being fitted with braces. Do I Still Need to See My Regular Dentist During Orthodontic Treatment? Yes, and it’s actually more important than ever. When you’re wearing braces, keeping your teeth free of plaque is even more difficult due to all the areas around your braces where bacteria can get trapped. Frequent teeth cleanings and exams by your dentist can help you avoid that. You’ll have to wear a retainer afterward in nearly every situation. If you don’t wear a retainer, your teeth may shift back into misalignment or other harmful positions. Your retainer will make sure that your newly-perfect smile will stay just the way it is. Is Orthodontic Care Worth It? Absolutely! Orthodontic treatment isn’t just a way to better your health and well-being; it’s also a long-term investment. It’s likely that orthodontic treatment will actually save you money over time by fixing minor defects can turn into very expensive problems later in life. Contact Your Thornhill and Mississauga Orthodontist Today! If you have any further questions for us, please don’t hesitate to contact us. If you’re interested in scheduling an appointment with us, we encourage you to request a consultation or give us a call. Our Thornhill office phone number is (905) 763-9098 and our Mississauga office phone number is (905) 820-6511. We look forward to meeting you and helping you obtain a healthier and straighter smile!